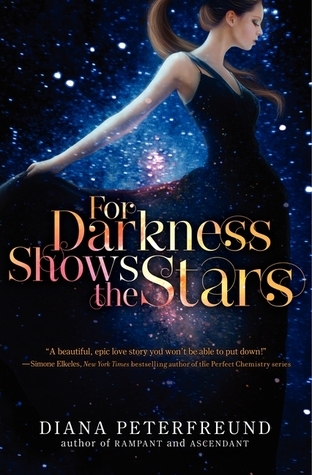 Inspired by Jane Austen’s “Persuasion”, “For Darkness Shows the Stars” is a breathtaking romance about opening your mind to the future and your heart to the one person you know can break it. Thanks ATWAT for the copy!! Second thing I should point out is that I also adore Diana’s writing. I’ve never been much on Unicorns but Rampant changed all that for me in one sitting. Diana has a unique voice and characters that I enjoy very much. For Darkness Shows the Stars is a story about Elliot North, a Luddite nobility who struggles to take care of her home and her people, when all her father and sister want to do is spend their money. The world is not like it used to be, and Luddite’s take upon themselves to care for those less fortunate ones. One of these is Kai, the mechanics son and Elliot’s best friend. I have to stop and say that Kai and Elliot’s relationship is so real and powerful I fell in love with it from the first letters. The glimpse that Diana gives us into their childhood through those letters was one of my favorite parts of the story. Now, Kai leaves to make a name for himself and Elliot doesn’t go with him as promised. When he returns four years later, he is no longer the scrawny little kid everyone remembers, but a Captain. I loved Kai’s character and his struggle to figure out where he stood in Elliot’s eyes and what their relationship was truly like. The hurt that Kai carried was right there, underneath all of his personal armor, and it broke my heart to hear him talk to Elliot and others. I loved Elliot as a character as well because she was the one who had to make all the tough decisions. She stood by her people, even when times were hard, and she learned how to be the best version of herself in the end. This story was beautifully crafted and told in a way that would’ve made Jane Austen proud. The world Diana created is unique and realistic, and the relationship she wrote is heartbreaking and powerful. If you love a good romance, this book is for you!